The leading treatise on the federal Fair Debt Collection Practices Act (FDCPA), the statute that dramatically alters how collection agencies, debt buyers and attorneys collect consumer debts. Now including The FDCPA Case Connector, a searchable database of 14,000 FDCPA case holdings. For over 30 years, the definitive treatise for use in all 50 states on state unfair and deceptive acts and practices (UDAP) statutes, providing flexible and evolving standards, broad coverage, attorney fees, and enhanced damages for a wide array of deceptive or abusive practices. 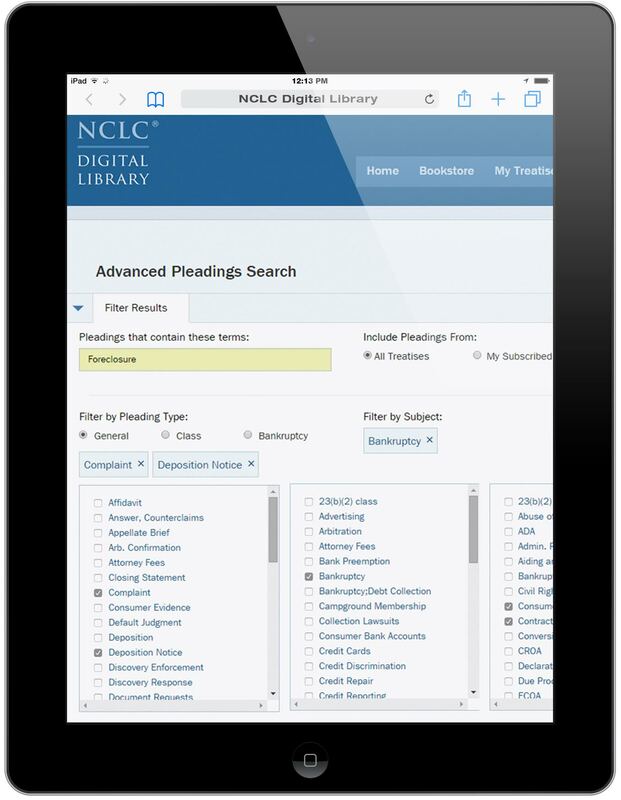 Instant access to over 2000 sample pleadings, covering every stage of litigation and every consumer law subject area, ready to paste into your word processor. How to handle every aspect of a class action, even for small law offices, written by experienced consumer class action litigators. Includes scores of sample class pleadings, from discovery to notices to settlements.